Sugar binders! 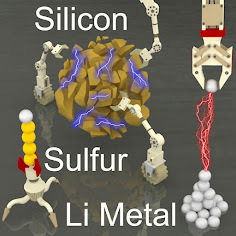 Our manuscript entitled "Hyperbranched β-Cyclodextrin Polymer as an Effective Multidimensional Binder for Silicon Anodes in Lithium Rechargeable Batteries" is just accepted for publication in Nano Letters. Congratulations to You Kyeong and Taewoo and thanks to our collaborator Prof. Jang Wook Choi!